The similarity between its namesake and the Flos Snoopy is hard to deny. 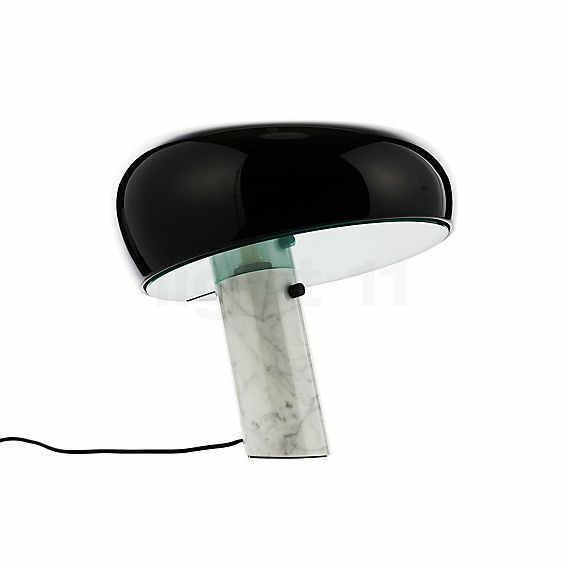 The silhouette of the original table lamp provided with a black lacquered metal shade and a marble base reminds us of Charlie Brown’s well-known dog Snoopy. Achille Castiglioni and his older brother Pier Giacomo designed the humorous table lamp for Flos in 1967. It became an iconic object over the years that impresses by its elegant design even today. The design of the Snoopy was penned by Achille Castiglioni who created the Table lamps in 1967 for the manufacturer Flos. The light opening of the Snoopy is covered with a diffuser made of high-quality glass. The three ventilation holes in the top of the painted lamp head are reminiscent of the finger holes of a bowling ball. A push button is integrated directly into the marble base. The Flos Snoopy emits its light directly downwards through a transparent glass shade. Since the shade rests on its base in an inclined position, the light slants onto the tabletop. This way, the table lamp ensures a pleasant and focused lighting. 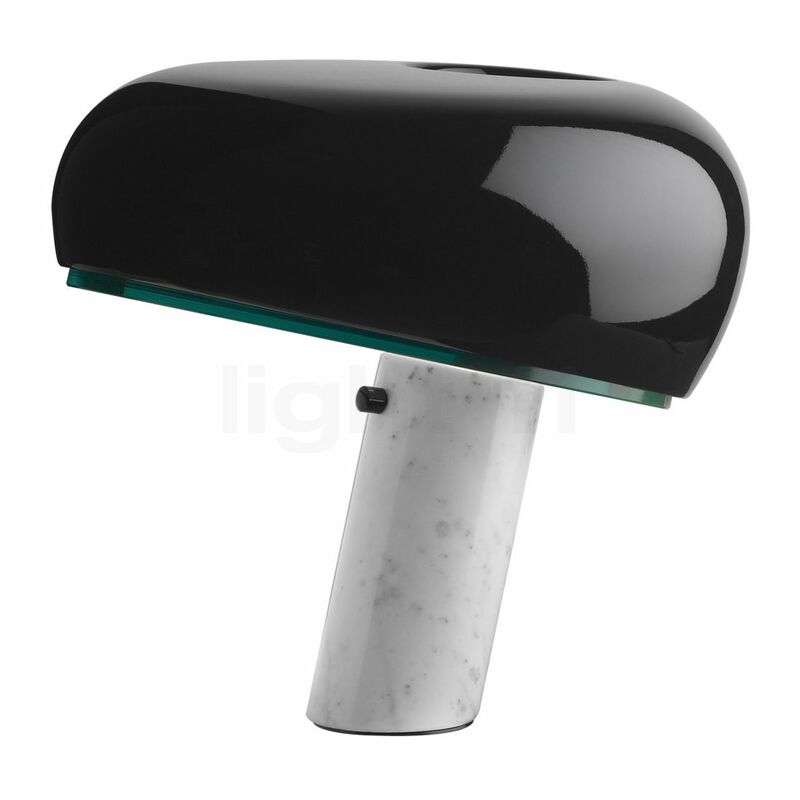 The Snoopy emits completely glare-free light upwards and to the sides; additionally, a little light escapes through three small holes on the table light’s head. light11 recommends using a halogen lamp with a maximum power of up to 105 watts for this table light from Flos. 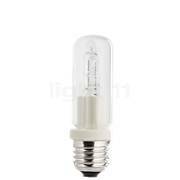 Then, it will supply warm-white and brilliant light. Tell other customers and us about your experiences with the Snoopy ! The table lamp by the Italian light manufacturer Flos is ideally suited to supply atmospheric lighting in order to accentuate furniture in different rooms. This means that the Snoopy, for instance, suffuses a commode in the living room with pleasant zone lighting and thereby stylishly highlights the piece of furniture. Moreover, the table lamp always serves as an independent eye-catcher that catches the eye with the marble base and the characteristic shade. Consequently, the Flos Snoopy turns out to be a tasteful combination of timeless design and perfect lighting effect.